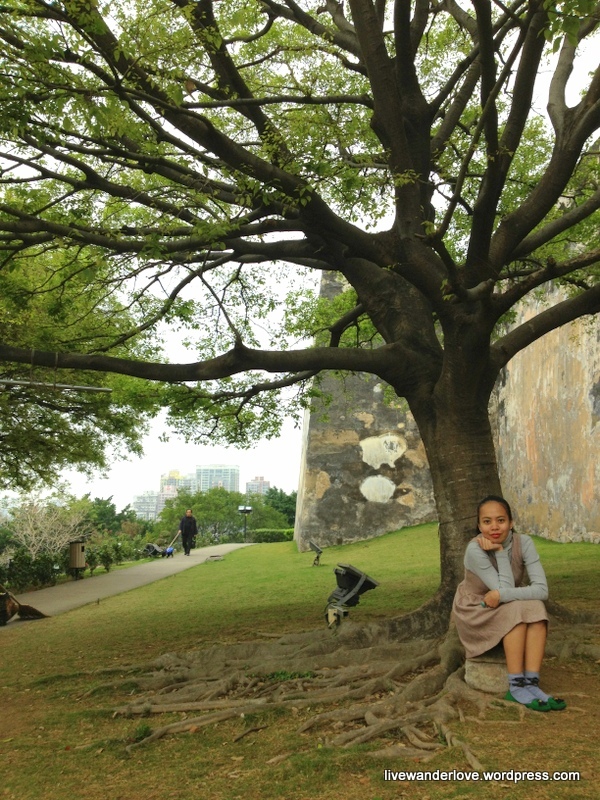 Inhale the stunning view of Macau’s concrete jungle after a heart-stopping climb on the way to the top. 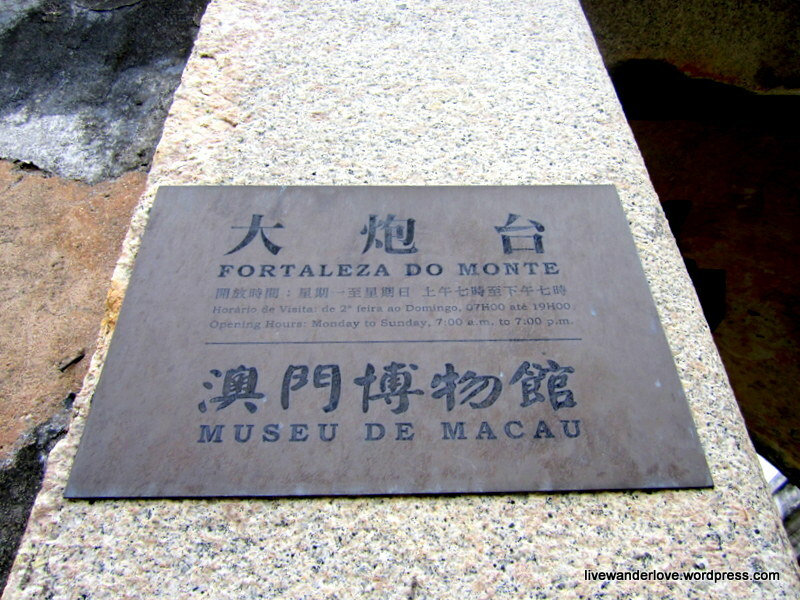 Just a few steps away from St. Paul Ruins is the historic Macau Fortress (sometimes called Monte Forte and Fortaleza do Monte in Portuguese). 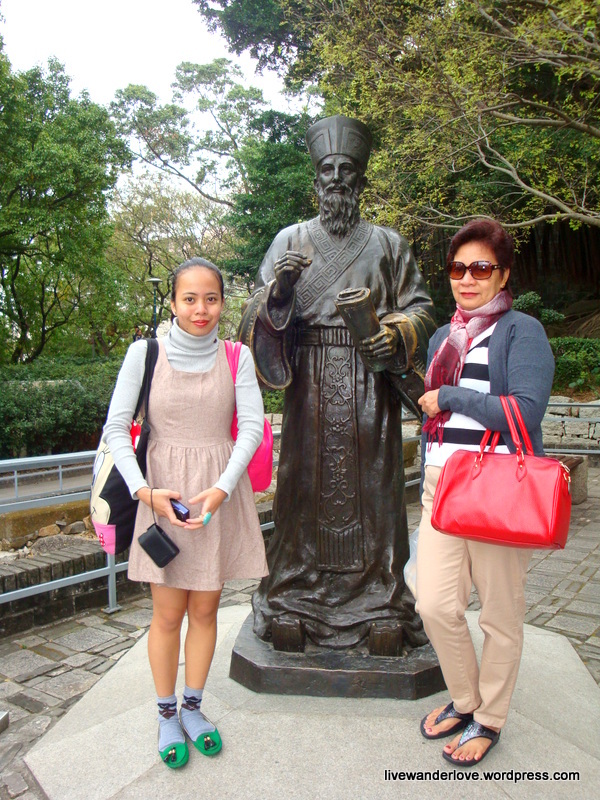 It has been a silent witness of Macau’s rich colonial past over a hundred years ago and has claimed a spot as one of the the must-see tourist attractions in the country. 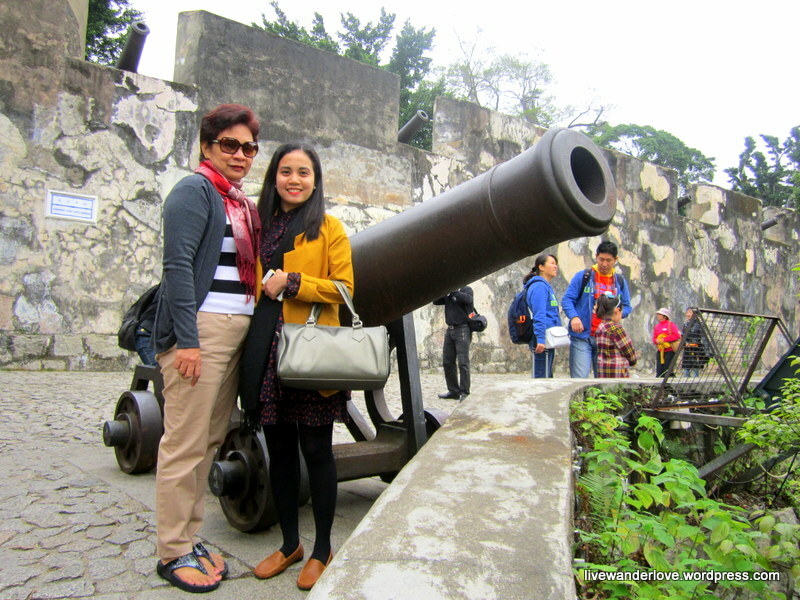 Visitors flock to Mount Fortress to see what’s on top and since it’s just a stone throw away from the famed Ruins. 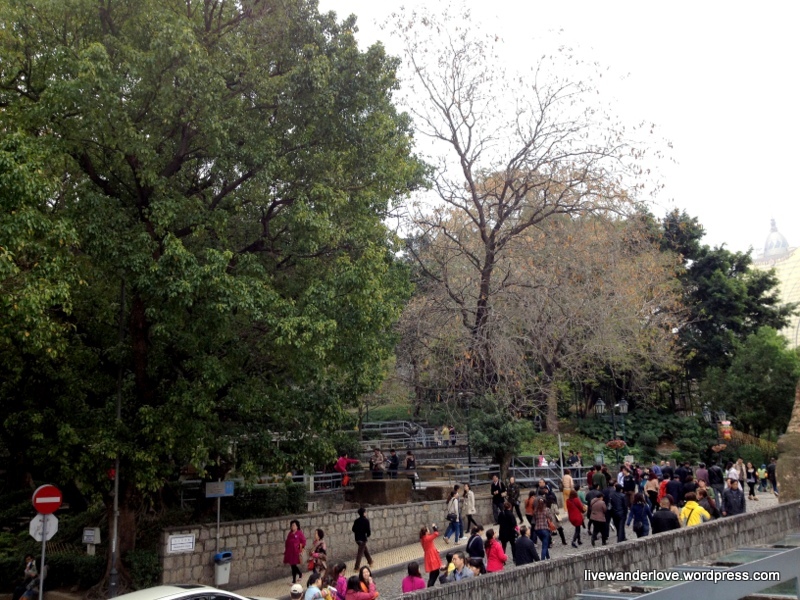 The entire landscape of the park which is covered with lush of trees and patch of green grass was absolutely lovely and totally refreshing to one’s eyes. 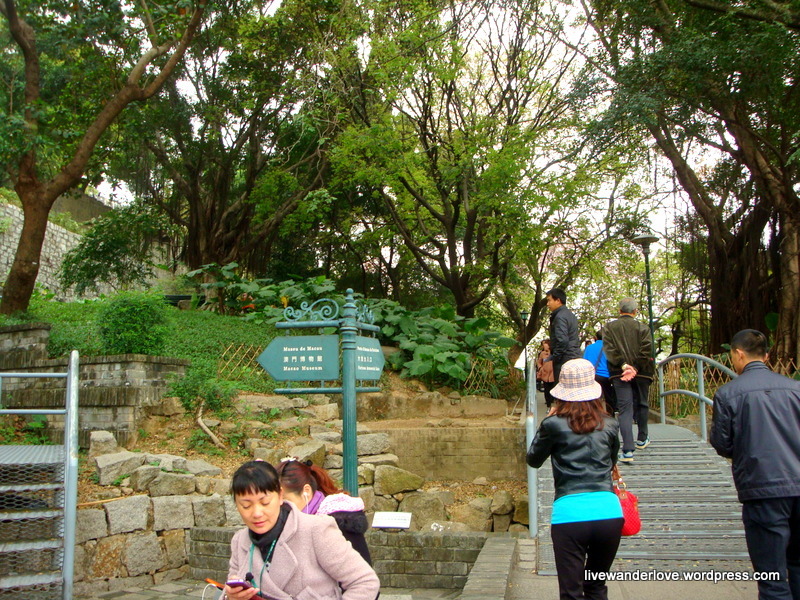 A morning run along the path or a leisurely walk with your adorable dog would be a perfect activity in this venue. Wooden benches are also available to provide comfort for every visitor’s tired feet. 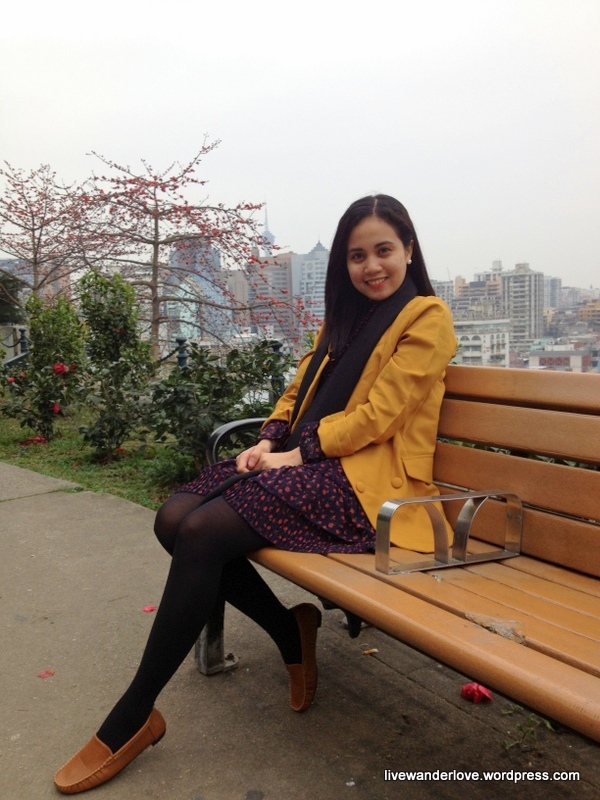 A good place to relax while enjoying the beautiful scenery below. Cannons bigger than us and tainted walls heaves an old and historical ambiance that is what the fortress trying to depict. 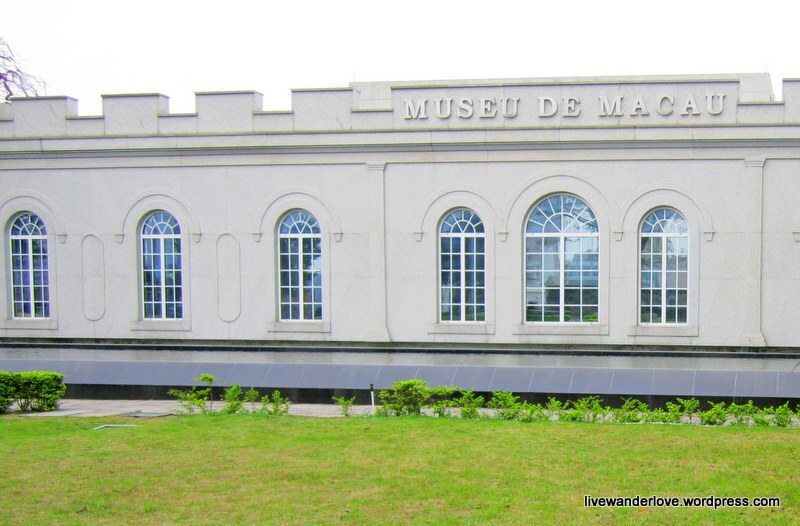 Perched on top of the hill is the Macau Museum (Museu de Macau in Portuguese). 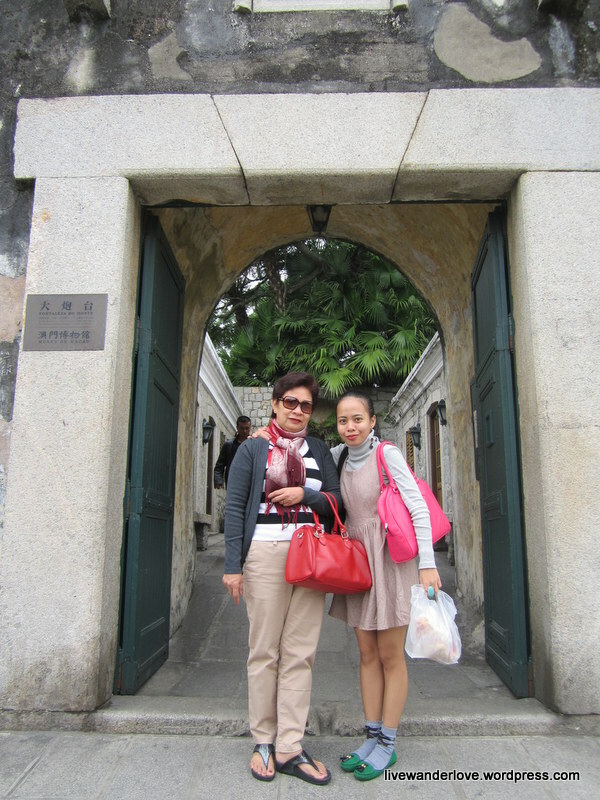 From what I heard, it holds a variety of galleries that features Macau’s traditions, culture and history. Should we have more time, we could have explored what’s inside of this building. 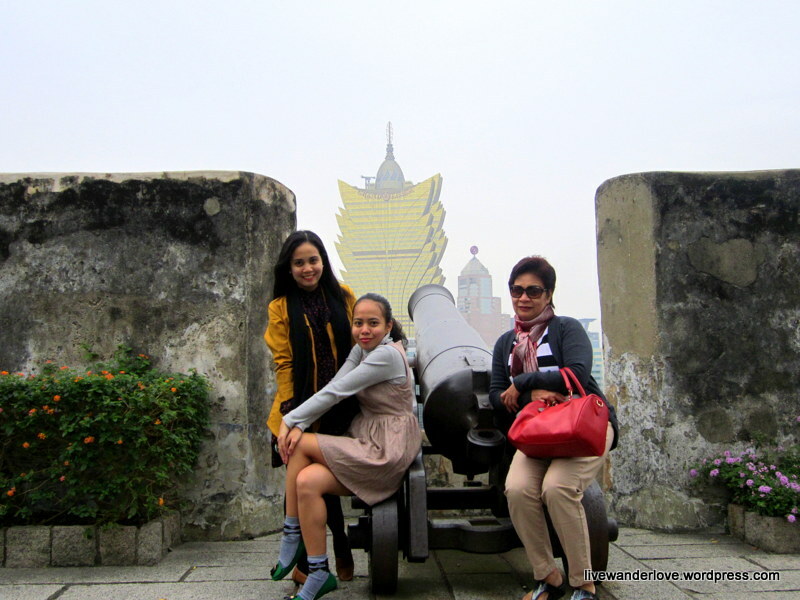 Along with the crisp air that filled my lungs, the view from the top is a glimpse of Macau’s everyday living. Bunch of glorious casinos, gray-colored apartments and an average neighborhood. 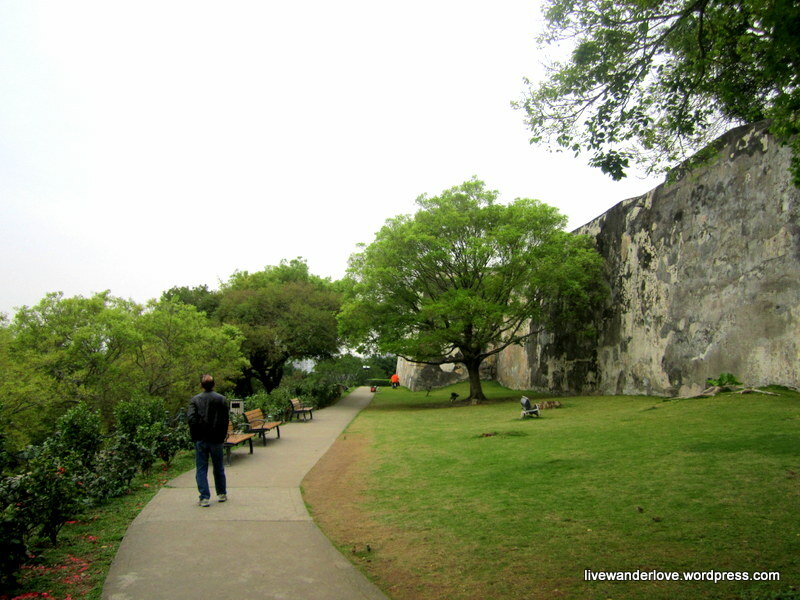 There’s nothing much to do in the area but I still consider Macau Fortress worth a visit. 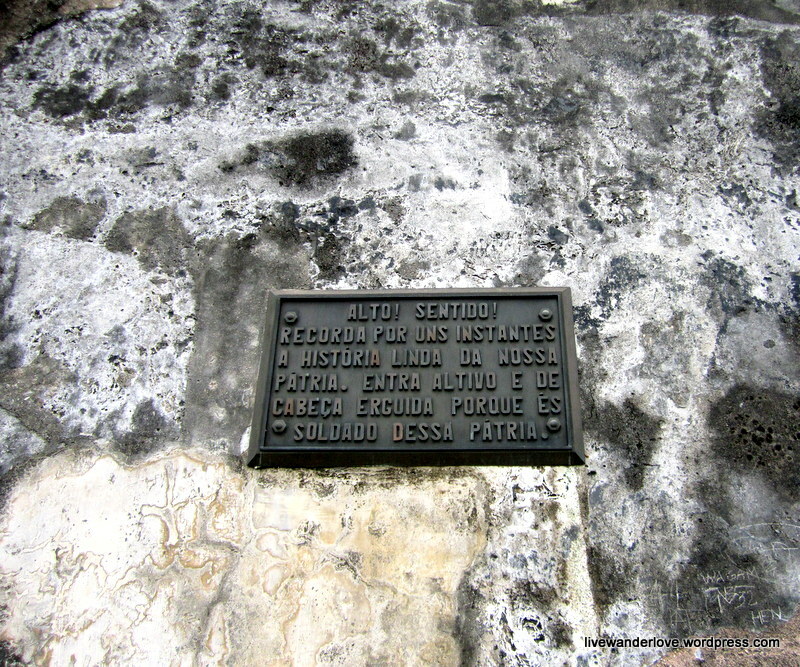 From St. Paul Ruins, follow the green post signs leading to the Fortress. 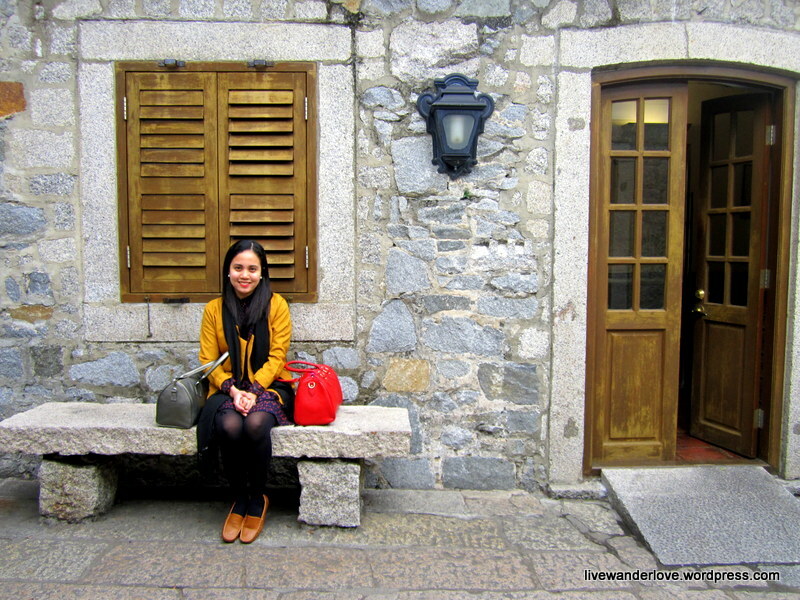 I love your blog and your photography – makes me want to go travel! Especially to Macau. I’m in Canada so I’m currently frozen… lol. I nominated you for the Very Inspiring Blogger Award since I enjoy your posts so much! You can read more about it on my last blog post @ erinfinity.com. Thanks! A nice post. 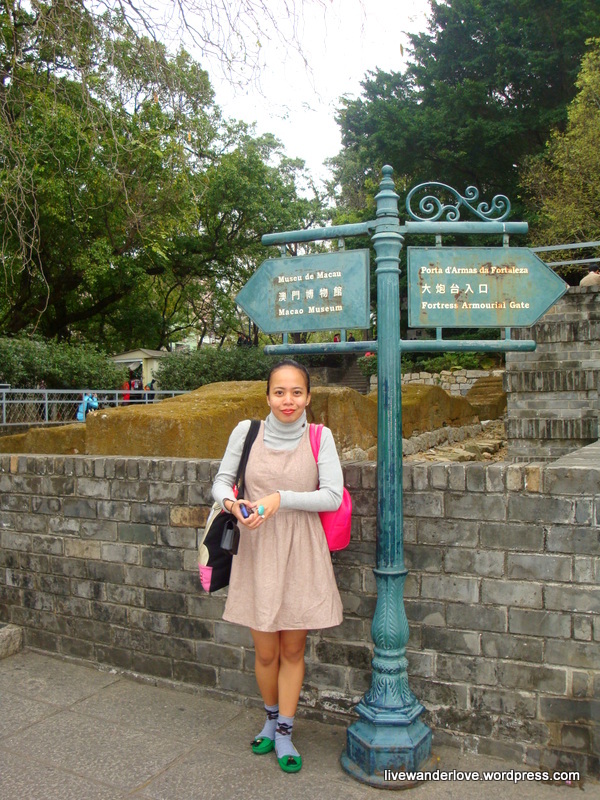 I never imagined Macau like that. A gente de là ainda fala portugues? Wow, what a beautiful place! Your pictures are incredible!